Jersey City, NJ — 99 Hudson, the new luxury condominium tower rising 79 stories above the Jersey City waterfront, is off to an incredible start in 2019 with a market-leading 34 sales recorded in just the first quarter of the year. The strong sales velocity, which comes on the heels of a highly-successful 2018 sales campaign at the building, is buoyed in part by an influx of savvy New York City buyers who have been crossing the Hudson River to 99 Hudson to take advantage of its compelling value when compared with similar offerings in Manhattan, Long Island City, Queens, and Brooklyn, according to developer China Overseas America (COA). Designed by Perkins Eastman, 99 Hudson features a distinctive limestone and glass exterior that embodies sophisticated residential architecture. A collection of studio-to-three-bedroom homes including a limited number of expansive, topfloor Penthouse residences is available, many with balconies and terraces. Condominiums range up to 2,500 square feet of living space and are currently priced from $557,000 to $4,213,000. Initial occupancy is expected for late 2019. 2 master bathrooms with Italian porcelain baths. All cabinetry throughout these elegant homes has been imported from Italy. Each residence will also have Bosch washer and dryers. Enhancing residents’ lives will be 65,000 square feet of world-class indoor and outdoor amenities which begin with a dramatic and welcoming double height lobby with Jura limestone, a grand chandelier, stunning onyx feature wall and private, off-street porte-cochere providing secure access by car or foot. Inside, health and wellness will be fostered by a state-of-the-art 3,800 square-foot Fitness Center and dedicated yoga and Pilates studio. Social interaction and a communal vibe will be created by a game room with card rooms and pool and foosball tables, golf simulator, screening room with bar, children’s playroom, demonstration kitchen, and work café. The 99 Hudson Club Room will feature a library, flat screen TV, and lounging, dining and entertaining spaces. There’s also a 24-hour concierge. Outside, a resort-style lifestyle awaits on the 8th floor amenity deck which will boast a 3,000 square-foot swimming pool, private cabanas, indoor and outdoor lounge and dining area with BBQ grills, playground, dog run and landscaped green lawn. 99 Hudson will also offer an exclusive, residents-only spa with hot tub, wet and dry lounges, steam room, dry sauna, showers, spa terrace and private massages. An impressive 7,500 square feet has been dedicated to open space and pedestrian plazas. Lying directly across the Hudson River from the World Trade Center, 99 Hudson boasts a prime location at the intersection of Hudson and Greene Streets, just steps from the Exchange Place PATH station which whisks commuters to business and entertainment centers in midtown Manhattan and New York’s Financial District. NY Waterway ferries provide service to the 39th Street and Battery Park City terminals. Also, right outside the front door is the Exchange Place Light Rail station which provides direct access to other “Gold Coast” locales. Downtown Jersey City has fast made a name for itself in the New York Metropolitan social, arts and cultural scene and is bustling with shopping and entertainment venues. 99 Hudson lies a short walk from the pedestrian-friendly Newark Avenue — a hotbed of dining and nightlight. Residents also have direct access to 1,500 acres of waterfront park and 19 miles of Hudson River biking and jogging pathways. 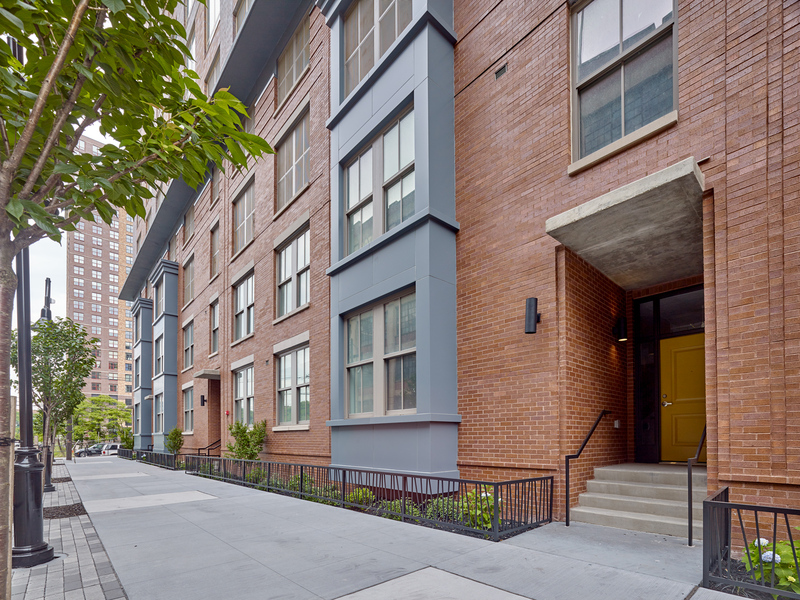 For more information on 99 Hudson, please visit www.99HudsonLiving.com or call 201- 4259676. The building’s state-of-the-art sales gallery is located at 101 Hudson Street, Suite #3602, Jersey City, NJ 07302.